Tamil actor Sivakarthikeyan, who has four back-to-back hits in his kitty, says it's unfair for him to be compared with superstar Rajinikanth. He also says he has no desire to get into his shoes or be called his successor. "It's unfair to compare me with legends like Rajini sir. I've heard comments that I resemble him in some of my movie posters and I can only feel happy about it. 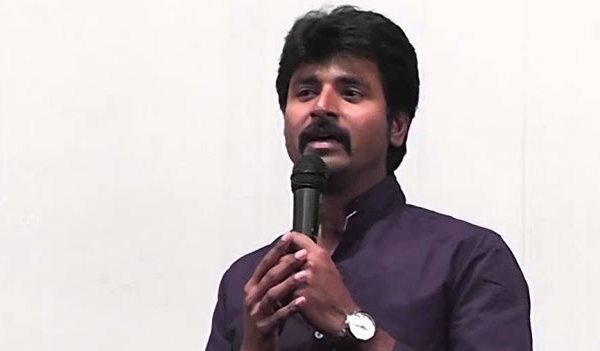 But I've never tried to take his position or imagine to be his successor," Sivakarthikeyan told in an interview. "It's like comparing Virat Kohli with Sachin Tendulkar. No matter how well any player plays, nobody can replace Sachin, and we all know that," he said, and added: "I don't even like to be compared with my contemporaries". Siva believes in self-comparison and setting the bar with every film. Talking about the dream run he's enjoying with multiple hits, he said: "I think audiences gave me these hits and not the other way around. I never claim my films will be loved by viewers one hundred percent, but as the percentage increases, so does the success ratio of my films and it goes from a hit to a blockbuster". He credits the success of his last four hits to the audiences and the teams he's worked with. "I think success of any film boils down to a good team. When I team up with Anirudh or Imman, thanks to their tunes, audiences come to watch my films. Similarly, a good cinematographer ensures I look good on screen," said Siva, who has hits such as "Kedi Billa Killadi Ranga", "Varuthapadatha Valibar Sangam", "Ethir Neechal" and "Maan Karate". All the four films were high on comedy. He says he consciously chose such films because of his television background. "I came from television to cinema with the comedy tag, and, therefore, I had to be conscious about the kind of films I chose to do. I wanted to check if audiences would give me the same kind of response on silver screen too. My next film 'Kaaki Sattai' is more serious than all my previous films, but it's laced with comedy too. I want my transition to other kind of roles to be very gradual," he said. Siva said television experience taught him to "act with spontaneity" and not worry about "losing limelight while sharing screen space with other actors". He also pointed out that the percentage of comedy in films has varied from one to another. "If you take 'KBKR', the last 15 minutes are highly emotional. In Ethir Neechal, the second half shifts gears and tries to inspire audiences, while 'VVS.' is an out-and-out entertainer. After these three films, audiences expected me to do something more colourful and stylish. They wanted to see me dance in exotic locations and that's why I did 'Maan Karate'," he added. Siva started his career in a brief role in Dhanush-starrer Tamil romantic-drama "3". He never thought he was hero material. "My initial perception about myself before I started acting was limited to comic roles and playing hero's friend. I even did films such as 'Marina' and 'Manam Kothi Paravai' with that perception. I never wished to see myself in any particular role and assumed it'd be safe if I play a hero's friend as I'd get to feature throughout a film," he said. But the directors, producers and audiences willed otherwise for Siva. "I feel they chose and entrusted me with the opportunity to play lead characters in 'Ethir Neechal' and 'Maan Karate'," he added. Sivakarthikeyan's Tamil actioner "Kaaki Sattai" is slated for Feb 27 release.